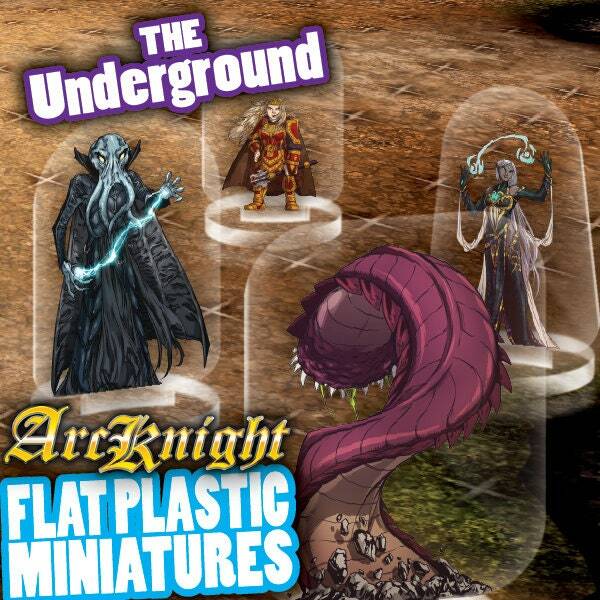 This set of underground flat pack miniatures manufactured by ArcKnight is perfect for inclusion in your next Dungeons and Dragons or other tabletop roleplaying game. Something new in gaming miniatures! 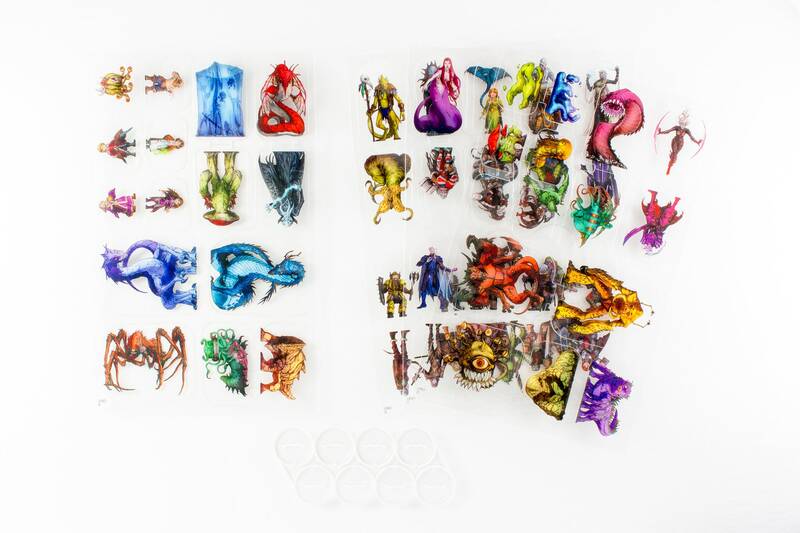 Arcknight's Flat Plastic Miniatures are affordable, high quality plastic transparent standees with unique double-sided art and perfect registration. 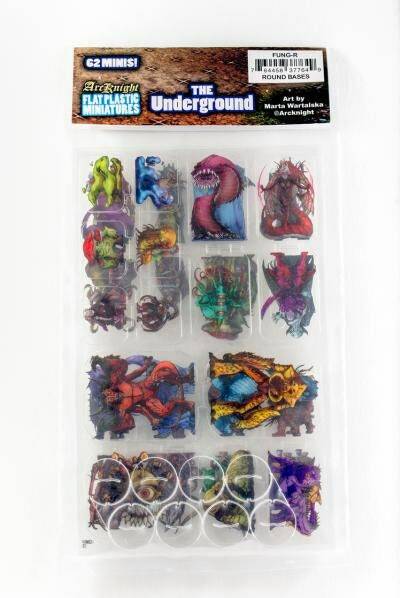 UNDERGROUND is a collection of 62 cave and underground-themed miniatures including drow, dwarves, mind flayers, oozes, gnomes, Derro, Duergar, a host of monsters, and more. Each piece is unique, with clusters of similar pieces such as 3x troglodytes having different poses, weapons and highlights to create visual cues to help track which enemy is which, while remaining a cohesive unit. The unique front and back art allows for unit facing. Comes with a strip of 8 interchangeable bases that pop easily on and off, so the entire collection packs flat for easy storage and travel to conventions. Now thousands of gorgeous miniatures can be sorted and carried in no more than the size of a shoe box or bead tray. Highly durable; flexible, wet and dry erasable, impervious to spills and gone are the days of breaking off your favorite miniature’s arm. Designed to heroic 28mm scale, pieces are scaled appropriately to stand alongside traditional miniatures and are exceptional for filling out rare or missing pieces from your collection, as a one-shot solution for an entire set, or for children who may damage traditional miniatures. Some assembly is required, and an adult should discard the additional plastic sprue before it is safe for smaller children.